Over the years, controversial rapper Prezzo has evolved from ‘The Rock’ to a short ‘Wiz Khalifa’, I’m talking body wise. As a result, there has been a lot of speculation on why he has become so skinny of late. The usual African rumor that he was HIV positive started floating around. Then he did a test to show people that his blood was as pure as nun’s nunu. 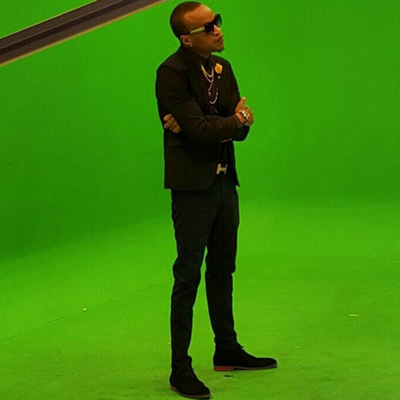 So what might be the reason for Prezzo’s drastic loss of kgs? Here are a few possible ones. A recent research by the Department of Riot Studies in the University of Nairobi showed that people who frequently read Njoki Chege’s articles tend to suffer shocking weight loss. This comes as a result of the trauma she inflicts on the readers. My advice to Prezzo would be’ Don’t read Chege. Read the bible. The bible Is dope. In Hollywood, some actors usually lose or gain weight in preparation for crucial roles. Forrest Whitaker gained over 50 pounds for his role as Idi Amin in the movie ‘The Last King off Scotland’. He went on to win an Oscar. Mathew McConaughey lost around 40 pounds for his starring role in Dallas Buyer’s Club. He went on to win an oscar too. So perhaps Prezzo has his eyes on Oscar gold. The only problem being, we are in Africa. More so, scripted reality TV shows will never get any Oscar nominations. Otherwise Kim Kardashian would have one. It’s hard to mention a female name in this industry that Prezzo hasn’t slept with. It was only going to be a matter of time before the excessive banging took its toll on him. When was the last time you had a dope track from Prezzo? You can’t remember? Me neither. Nowadays, the king of bling is known for his theatrics rather than his musical ability. But we can at least give him props for remaining relevant. Still, Prezzo is the kind of man who always wants it all and his current inability to release hit songs must be stressing him up. Given that the rapper has to spend so much to please these money-guzzling women, it’s kinds sensible to assume that at the end of it all he isn’t left with much t treat himself. Maybe he;d rather treat a girl than go to the gym. Still, I wish Prezzo all the best. May he keep lighting up the blogs.